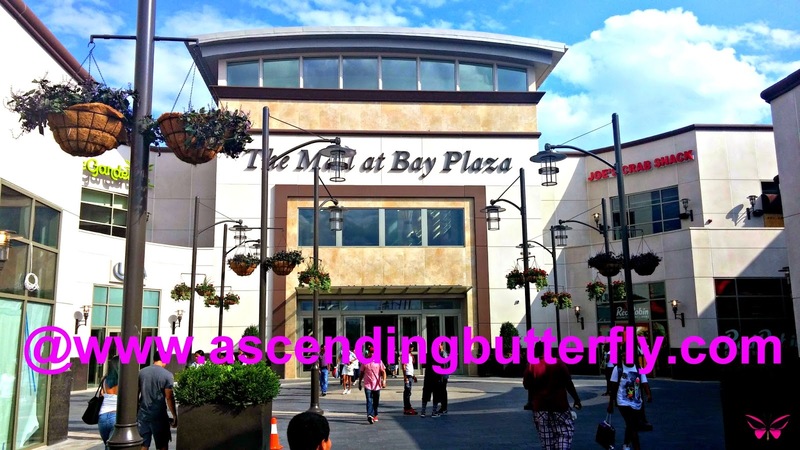 The Mall at Bay Plaza in Bronx New York went from completely open air to partially enclosed with some stores still open air outside of it, thought I'd share a picture of the new look for Wordless Wednesday! Happy Wordless Wednesday Butterflies! Could you use some retail therapy right now? FTC Disclosure: This is NOT a Sponsored Post. All thoughts and opinions are my own. I am disclosing this in accordance with the Federal Trade Commission 16 CFR, Part 255 - Guides Concerning the use of endorsements and testimonials in advertising, you may check our Giveaway and Disclosure Page for additional information regarding Ascending Butterfly Disclosure. Very nice I would shop there! I haven't been to this shopping plaza yet, but it's nice that some of the stores have been brought inside...good for when the weather gets nasty. I am due for a little bit of retail therapy soon! I've been shopping at Bay Plaza for years ,I like that with the bad weather coming we can shop without getting wet.I have mix feelings tho ! There's a lot more shoppers and the buses are so crowded .Well it gives us more choices and with it I hope better prices . I definitely could use some retail therapy, and an unlimited budget would be a big plus!